This is a soft merino extrafine (19.5 micron) single yarn, great for shawls or light tops. Base Yarn: Filigran by Atelier Zitron. One skein is enough for nice shawl. 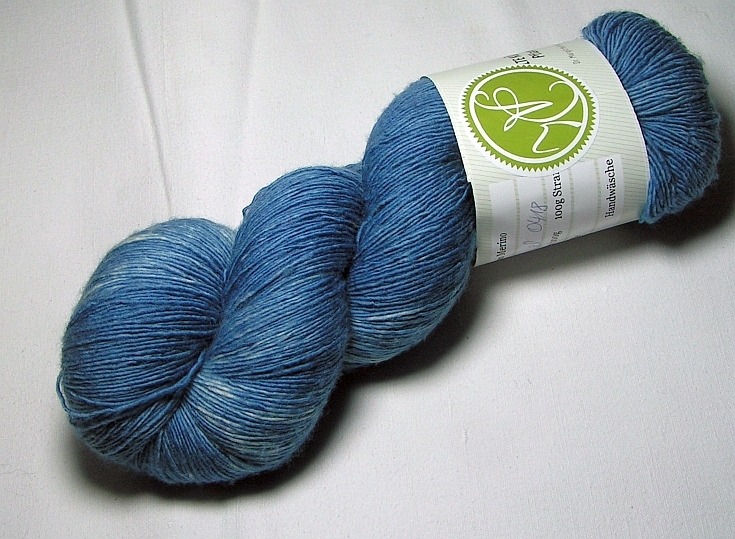 For a regular size sweater 300g (3 skeins) are needed.